RUSH: I’ve done a quick perusal of some blogs, not tech blogs, some standard, ordinary, everyday news blogs. You know what I’m finding out there? There are a few — I don’t know if it’s a lot yet — but there are a few conservative blogs who are saying that Trump is wrong to politicize this, just as we say it’s wrong for the left to try to politicize, say, the Las Vegas shooting or any other mass shooting. When we say it is wrong for the left to start blaming conservatism for that, these people are saying it is wrong for us to start politicizing the diversity, blah, blah, program. That’s another reason why Trump was elected. That’s exactly another reason why Donald Trump was elected. The left can politicize all they want, and we can criticize it. But then when we politicize our own side says, “No, we can’t, because you accuse them, you criticize them for politicizing.” So they get away with it and shaping minds with it, and we don’t. In the meantime, this whole thing is political! That Diversity Visa Program is a political program. What do you mean, we can’t politicize it by criticizing it? And any program that would tend to fix our vetting program would likewise be political. It’s a political problem that we have because it’s a political problem created by political people. This stupid diversity lottery, an outreach to people that do not want to come to the country is a political act. What else would it be? “It’s a statute, Mr. Limbaugh. It’s legislation. It’s an act of Congress.” Right. You think that doesn’t happen in politics? So I got some people on our side that want to tie both hands behind our backs. These are conservative Never Trumpers. Some of them are Never Trumpers. I’m not sure about all of them. Some might be Never Trumper one or two degrees removed. Some might be original Never Trumpers not quite as never Never Trumper now. (interruption) The Never Trumpers are not embarrassed! They’re hanging in together. The Never Trumpers, they are themselves a bunch of supremacists. I should say superiorists. Anyway, back to the phones. Southampton, this is Bill. Great to have you on the EIB Network. Hello. CALLER: Hi, Rush. My question is about present-day polls that involve Trump and his approval ratings, and I’ve been thinking about it. It just seems that how close can they be to being valid when 40% of Americans really hate the guy and aren’t gonna let go of the last election. And it seems to me that they’ll always be, you know, negative when any question arises with regard to him, which to me would kind of invalidate or call into question the sampling on any of these polls, since the feelings are so strong on both sides. Your thoughts? 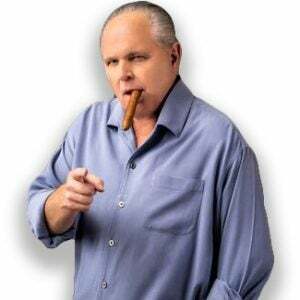 RUSH: Well, I am so glad that you got through and asked that question, because I ran into something, a little blurb last night that the average, ordinary, everyday host would not have even registered. But to me, I saw this, and I said, “Whoa. Wait a minute!” So what did you just say? You just said that 40% of the American people hate Trump no matter what. That’s what you think? RUSH: Has that been documented or is that just an approximation that you’re trying to come up with? CALLER: It’s an approximation, and I think I’m conservative on that. Based on the last election, based on the number of Democrats and liberals in our country. RUSH: Okay. So let’s stick with your number, 40% of participating, i.e., voting Americans hate Trump and are never gonna give him a positive approval, right? So you’re saying any sample that includes a number of those people is, by definition, unbalanced, right? CALLER: Yeah, exactly what you said yesterday when in past elections presidents have been given the benefit of the doubt no matter which party got elected, that’s not true today. RUSH: Oh, yeah. That’s absolutely right. In the past after a party lost, they at least try to figure out what they did wrong and try to reach out to the people that didn’t vote for them, and this time there’s none of that. Well, here’s what I ran into. This is a little poll that the Cato foundation published. They’re a Libertarian think tank. Now, follow me on this. It’s not very complicated here at all. It’s a poll that either they did or that they are publishing. What does that tell you? That tells me that the polls are meaningless! If 58% of the American people have views they are afraid to share, that means we got 58% of people who like Trump, support Trump, or who are Republicans and are scared to death to say that to a pollster or to a journalist or what have you. So what that tells me is that any poll that purports to tell us Trump’s approval, popularity, is somewhat meaningless, because so many of the people who are supportive of Trump and like Trump are apparently afraid to say so. RUSH: I’m gonna pretend to be a Never Trumper one day for a few minutes just to see if I can do it, just to see if I can do it. RUSH: Dan, The Villages, Florida. Great to have you, sir. How you doing? CALLER: Yeah, hi, Rush. Good. I’m interested in getting an opinion from you. I totally agree with the statement you made earlier about the Trump administration being an obstacle to the left agenda. CALLER: My only concern is that it’s a temporary obstacle, as long as that administration is in place. 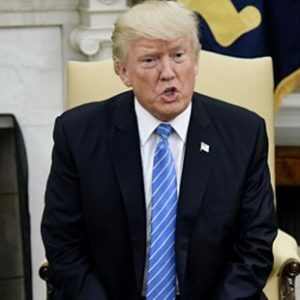 But I don’t know of anyone on the right that’s strong enough to continue with his agenda, so I’d like to get your opinion on what do you foresee happening after the Trump administration, especially when the left regains control of the White House. RUSH: Well, this is why they’re trying to get rid of him. This is why they’re actively pursuing impeachment. And, by the way, folks, about Mueller, I just want to say again what I’ve said a couple of times. Mueller is not strictly searching for evidence that Trump colluded. What this is is one of the many steps that they hope will result in the impeachment of Trump, if they can find anything before Trump even declared he was gonna run for office. Right now, there aren’t any Republicans that seem to want to pick up the Trump mantle. That’s gonna take some more time. That’s gonna take some more Trump victories.